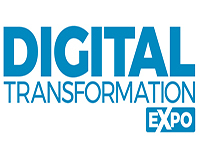 Whether it’s your first event or you are an absolute pro, these top tips for your event campaign will help you to ensure you are on track to make your experience at IP EXPO, Cyber Security X, or AI-Analytics X which are co-located at Digital Transformation EXPO a success. Our best practice tips will help to guide you through your events calendar pre-show, during and post-show to make sure you maximise your time and return on investment. Let’s face it, with a solid plan in place you will be miles ahead of the rest. Based on research by the FaceTime initiative from AEO (Association of Event Organisers). Set objectives: Whether it’s generating new business leads, shaking hands with current customers or raising your brand’s profile, make sure you’ve identified your goals, your campaign should then be based around your objectives before the show, so that everyone knows how ROI will be measured. To download the guide, simply enter your details below.